-Play with (against!) your friends on three multiplayer maps where you must control victory locations to win. 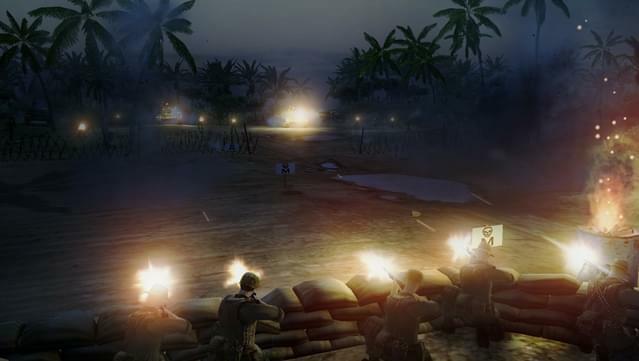 -Adapt your tactics to strengths and weaknesses of different sides of the conflict while playing five thrilling single-player missions. 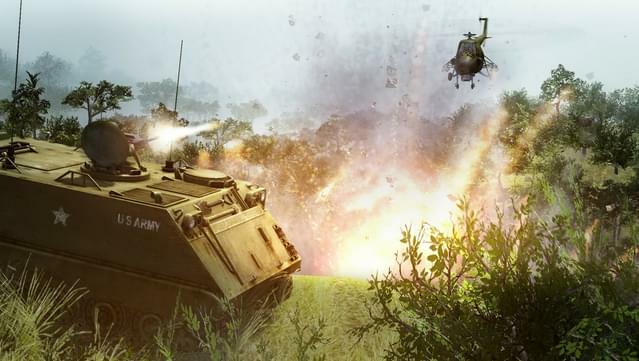 -NVA soldiers battle US Troops for control of a nameless sector near Cambodia border. 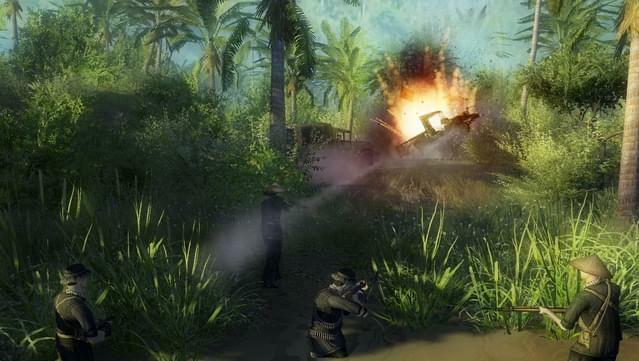 -Four survivors, passengers of a shot-down US helicopter, try to escape from Vietcong territory. 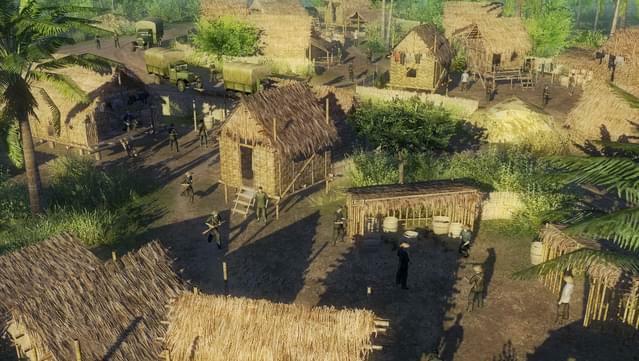 -Surrounded Vietcong soldiers make their last stand against the US Army onslaught in the ruined Catholic church converted into a makeshift weapons depot. 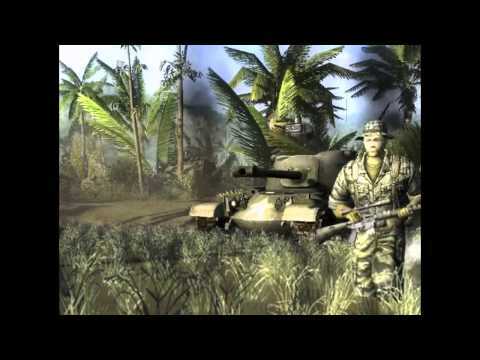 -Vietcong subversive group must infiltrate the area patrolled by ARVN and Green Berets using only knifes and silenced weapons. 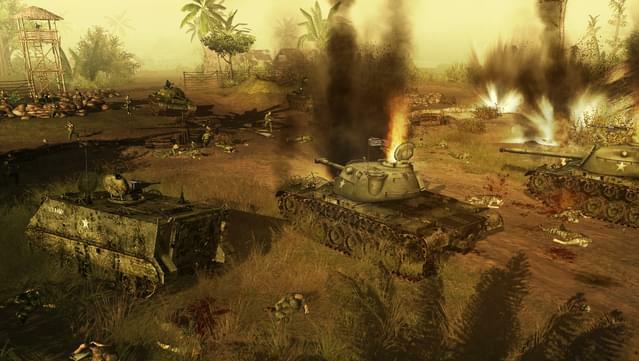 -Commander of the NVA tank platoon decides to launch an all-out attack in a bold attempt to take out US Field HQ. 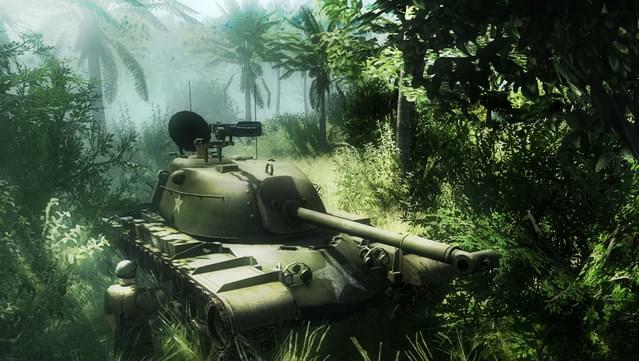 Men of War: Vietnam is a new game for the critically acclaimed series. 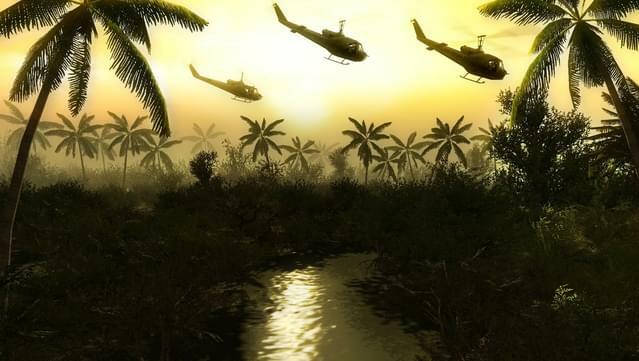 The new, story-driven campaign lets you taste the explosive mix of the jungle, Hueys and rock-n-roll in 1968. The US campaign focuses on a team of elite special ops soldiers, and each one of them has a personality. 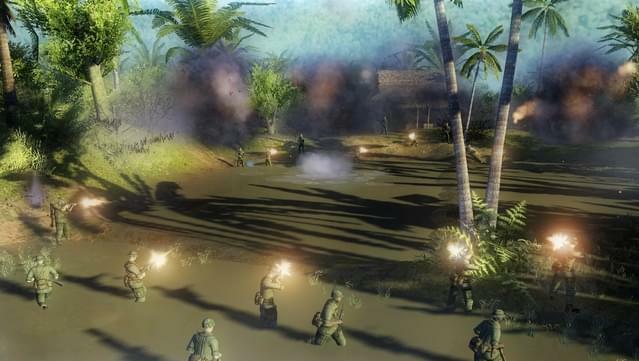 The unit includes Sergeant John Merrill, machine-gunner Jim Walsh, sniper Sonny Armstrong, grenade launcher operator Carl Dillan and combat engineer Bill Kirby. 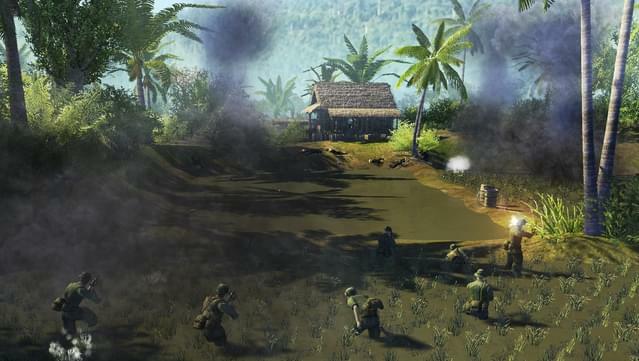 In some missions they can count only on themselves, while in the others they act together with regular US and South-Vietnamese troops. 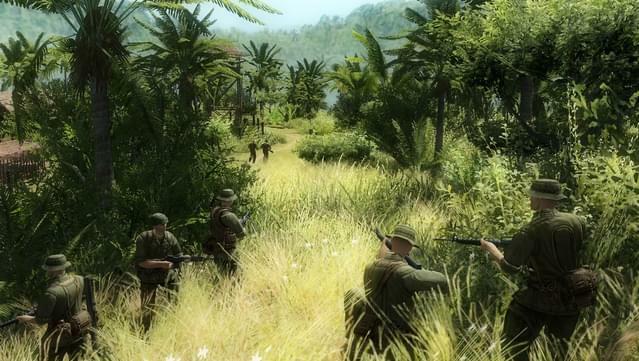 The North Vietnam campaign tells the story of two Soviet military consultants and two soldiers of the North Vietnam Army who are the only survivors of an ambush prepared by the US troops. 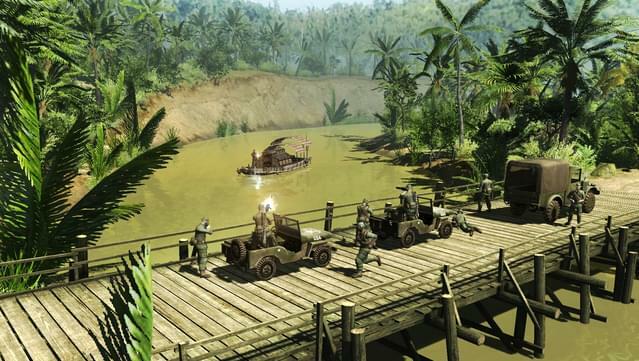 The task of getting back to the North Vietnam territory is a difficult one – they have no means of radio communication, no wheeled vehicles, and it’s too far to make it there on foot. On their way these survivors get involved in a chain of bloodbath engagements and find themselves in the dead center of the well-known Tet offensive. 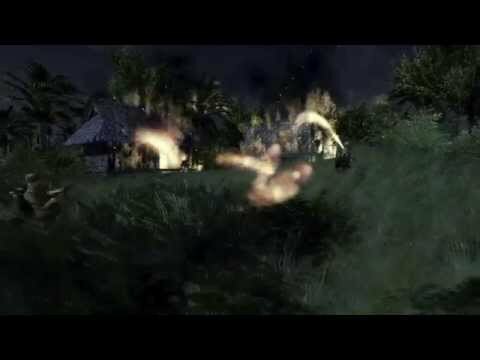 Missions range from special operations (rescuing a shot-down pilot, escorting a reporter, etc.) 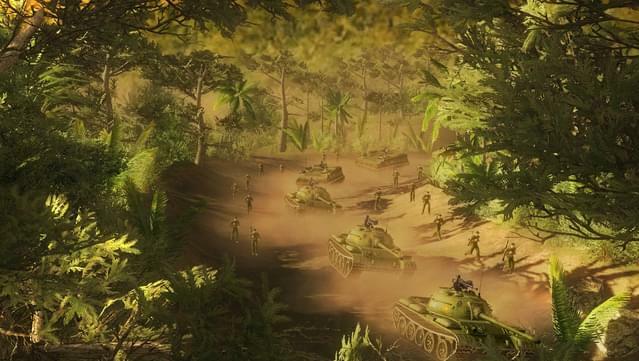 to full scale battles. © 2011 1С Company. All rights reserved. © 2011 This product contains software technology licensed by Best Way. All rights reserved. 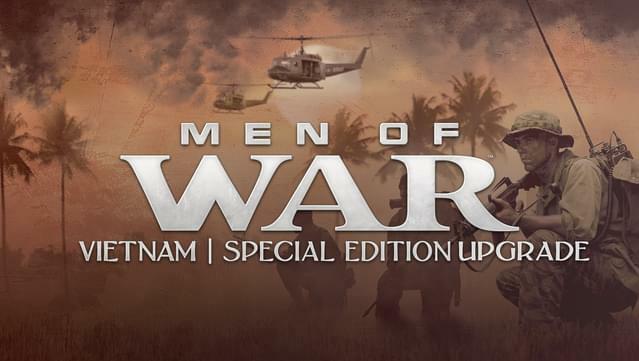 NOTE: Men of War: Vietnam is affected by the GameSpy shutdown, multiplayer is available only via LAN.